When did you start thinking about anti-ageing products? For me, it has only been a recent thing, and to be honest, I might be a little late to the game. Don’t get me wrong, it isn’t because my skin is amazingly free of wrinkles, I just never thought that I was older enough to use anti-ageing potions. Instead, I’ve always tried to live by what my Mum and Nana Dale always said that the sun was my skins biggest danger. 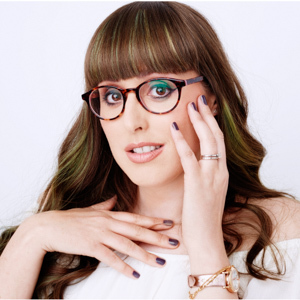 So I’ve always been conscious of the SPF in my face cream, foundation and the like, as well as wearing large sunglasses to protect my eyes, as well as limiting direct sunlight, I like to sunbathe but I think I’m more of a lounging under a tree kind of girl. I remember that Nana Dale used to love a parasol even when it was cloudy. Add to that lots of water, eating lots of fruit and veg, trying to get a least 8 hours of sleep, and making sure to remove my make-up, I haven’t thought about adding anti-ageing products to my routine until recently. I may be a little set in my ways when it comes to skincare, both my Mum and I are, and a lot of that has to do with Mum’s Nana Dale. I remember when I was little being in awe at her glamour and pose, and I adored hearing stories from when she was a dancer in the 1920s and early 1930s and playing at her dressing table that was filled with perfume bottles and homemade concoctions. Nana Dale had three rules when it came to her skincare, first up, always no matter what, take one day a week to go without make-up, a rule I strictly stick by. She always said it gave the skin time to breathe. Rule 2, use cocoa butter on your hair once a month, she’d plaster it on and leave it overnight in a hair net and have the shiniest hair the next day. Final rule, always use coconut oil to take off your make-up. Something that my Mum still does and I so need to give it ago, she promises me no more itchy eyes and an age getting mascara off! So what’s changed for me? Well, I’m now mid-30s and I’ve started to notice a few changes, mainly in my hands, I need to make sure I moisturise otherwise I might end up looking a little like Madonna. I always feel you can tell the age of a person by their hands and neck, so I thought I better start protecting my skin, and that’s where these amazing No7 serums from Boots come in, especially the new No7 Restore & Renew Face & Neck Multi Action serum, which targets wrinkles, firmness, and pigmentation in the face plus the neck. One of the things I love with my skincare is multi-action products, and the No7 Restore & Renew is packed with the anti-wrinkle, firming and lightening complexes from its clinically proven No7 Protect & Perfect Intense Advanced and the No7 Life & Luminate serums, with an extra helping of calcium, amino acids and ceramides to give mature skin a nutrition boost and to help it look and feel younger. 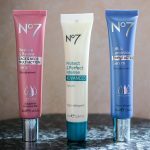 When it comes to anti-ageing products it is the amount of them that can be a little overwhelming, whereas it seems that you could really go for any of these No7 serums and you’d notice the difference. If you are looking to supercharge your skincare go for the Protect & Perfect Intense Advance, it is clinically proven to be effective at visibly reducing deep lines and wrinkles and will help your skin look younger in just 2 weeks. Looking for something more targeted to reducing wrinkles, while firming the skin and giving a more even skin tone, then you should try Lift & Luminate. If you are looking for a multi-action that will give your face and neck a wrinkle overhaul you have to try Restore & Renew. I have to say, I haven’t been testing the serums for long, less than a week, however, what I have noticed is how my skin feels so much more hydrated. 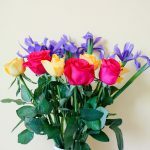 I never thought my skin was dry and that lacklustre before, but I’ve already noticed that my skin feels revitalised with a more radiant glow. I also like that each one has a lightweight gel texture, I hate it when serums are too heavy, plus it dries quickly without residue so you can easily put it on before applying your make-up. 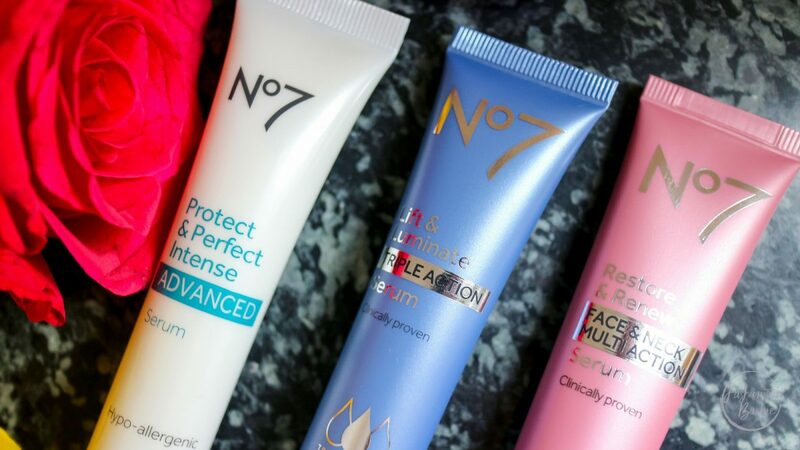 Another huge plus factor is that the No7 range is so reasonable priced, for 30ml you are looking at under £30, easily available, no hunting online to find a stockist, and if you want a product backed up with stats its range has clinical evidence that it can help with the signs of ageing in just 2 weeks, can’t get better than that can you. What beauty lessons have been passed down to you? Also, are you thinking about anti-ageing products and trying No7 serums? Want to learn more about the No7 anti-ageing serums and to share your beauty stories and tips passed down through the generations, join in with the Thirty Plus and No7 Twitter Chat this Thursday, April 13 from 8-9pm GMT. Head to @WeAreThirtyPlus and use the hashtags #Generation30Plus #No7Ready to join in. Also, 10 looking people will win fab goodie bags full of No7 products.